Diego, the Dixie Chile Ranch Vaquero here. 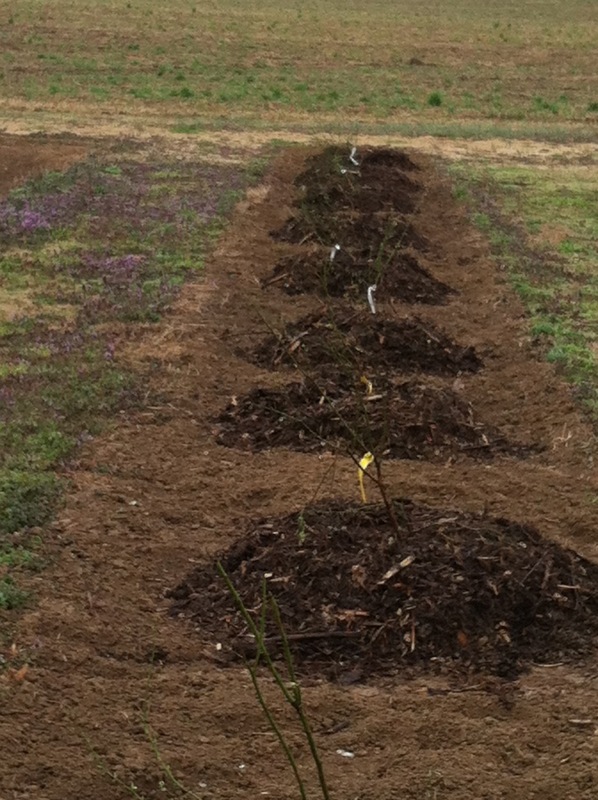 We’ve just received our blueberry plants:Tiffblue, Briteblue and Climax varieties, and they’ll be getting planted in the next couple of days. So will our triple crown blackberries, and we’re looking forward to sweet and succulent blueberries and blackberries in the years to come. Here’s a photo so you can see we’ve plowed the large garden area where the majority of our varieties of chiles will be planted, along with bell peppers, tomatoes, beans (Roma and Blue Lake), purple hull peas, cucumbers, potatoes, eggplants, and other vegetables. Be sure and register at http://www.uniongroveproduce.com for the ‘You Click – We Pick’ program! Come a ay – yi – yippee-yippee-yay, yippee yay. We’re headin’ for the big chile round-up. Well …. Maybe I need to get back to ridin’ an’ ropin’ an’ not sing so much.